Stunning walks around the St David's Peninsula. Nearby Ramsay Island is great for watching seabirds. Area is home to sea birds, seals and dolphins. Only a 5-minute drive from the St Davids City Golf Club. Three miles from Roch Castle. 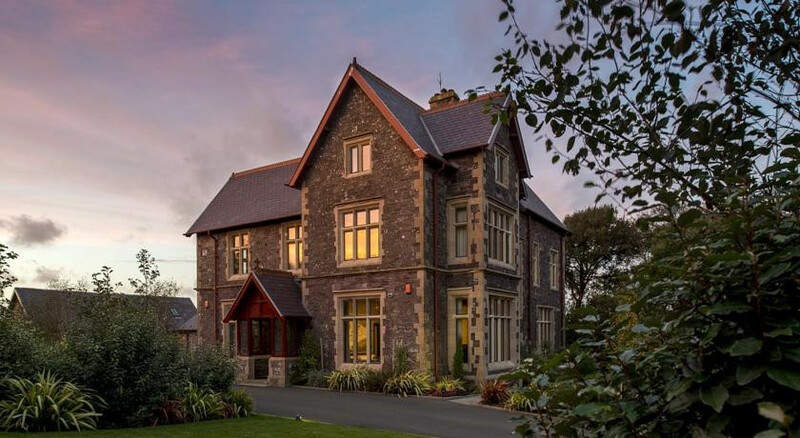 Guests often tell us that they adore the serenity and luxury of Penrhiw, our warm Welsh welcome and impeccable customer service which we pride ourselves on. We are lucky to be situated perfectly in the Pembrokeshire Coast National Park and only a short distance from the magnificent Preseli Hills. This allows guests the opportunity to explore the stretching North Pembrokeshire coastline and beautiful sandy beaches, as well as the heights of the Preseli Hills where the bluestones at Stonehenge came from. We are also located near Oriel y Parc, which is home to the National Museum Wales class A Gallery where guests can enjoy changing exhibitions form the National Collection including acclaimed artist Graham Sutherland, who left a body of his artwork to his beloved Pembrokeshire. Just a short distance from Penrhiw is the city of St Davids, it’s Cathedral and the adjacent Bishops Palace. A boat trip to neighbouring Ramsey Island to explore the varied sea birds and seal population. These along with many other activities are arranged by Penrhiw’s free concierge service. Penrhiw has recently been awarded a Breakfast award by The AA. A favourite amongst our guests is our full cooked Welsh breakfast that comes with locally sourced Laverbread which can alternatively be served on Wholemeal Toast with Bacon and Cockles. Other tempting alternatives are Smoked Salmon and Scrambled Egg, Poached Free Range Hens Eggs on Homemade Potato Cakes with Laverbread, plus Pancakes with Bacon and Maple Syrup, or Fresh Berries and Clotted Cream. In addition to this array of choices, continental breakfast including Fresh Fruit and Berries Salad, Porridge with Local Goodwood Honey, Cereals, and a selection of Pastries. At our two AA Rosette restaurant ‘Blas’, meaning ‘Taste’ in Welsh, is located in our sister hotel Twr y Felin. Guests form Penrhiw are offered complementary transfers to enjoy brunch and lunch menus, a la carte fine dining dinner and afternoon tea. We also offer a selection of carefully curated old world wines to accompany our menu, influenced by the season and locality, with dishes designed to reflect Wales and its produce. 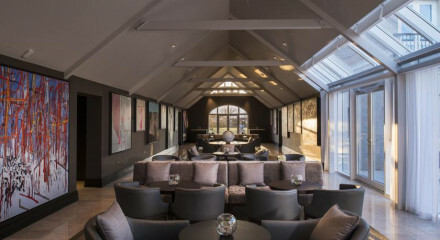 A range of specially crafted cocktails are served in the elegant Cornel Bar at Twr y Felin Hotel. We often recommend The Shed in Porthgain, famous for its seafood and gastro pub Cambrian Inn in Solva to our guests who would like to sample more of the local Pembrokeshire cuisine. Meadow Suite is the most popular as it is not only our best room in house, as it is located in the Coach House, adjacent to the main Penrhiw House, it’s spacious lounge with contemporary art by Brendan Stuart Burns and Geoff Yeomans adorns the walls. It also has a spacious terrace that leads on to the Meadow and 12 acres of grounds including a woodland walkway. 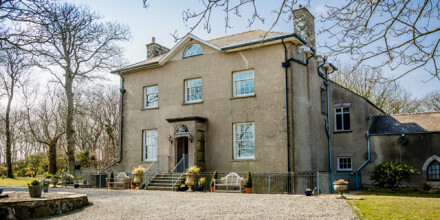 In the main house, the Garden Room with a contemporary four poster bed, bay window seating area, the high 19th century Priory ceilings and it’s spacious shower room make it a must stay room. What facilities do you have for children and can you fit extra beds in your rooms? We welcome children aged 12 and over. We don’t accommodate extra beds in our rooms.